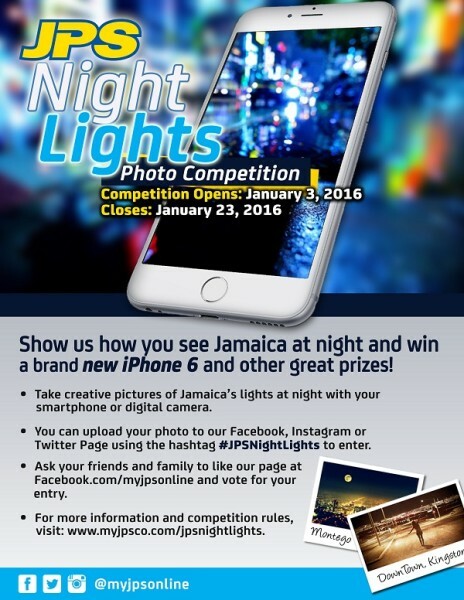 The Jamaica Public Service Company (JPS) has launched a photogtraphy competition. The Night Lights Photo Competition will run from January 3rd, 2016 to 23rd, 2016. Entries must be in digital format and must be submitted electronically to the JPS Facebook page. The photographer of the winning shot will receive a new Apple iPhone 6. The best images will be: published in a photo exhibition at the Company’s Head Office; featured in a limited edition 2016 calendar; shared across JPS’ social media networks and corporate website.